I like to unburden myself from the work-a-day life whenever I can. I can recommend many places to go in Bucks County to do that. 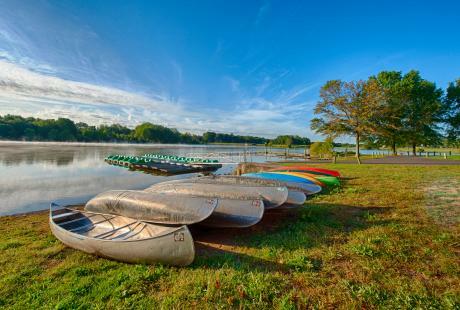 But one place is special: Uhlerstown.It’s a post-card cute upper county village nestled tightly along the historic Delaware Canal in Tinicum Township. Taking a walk, breathing the fresh air and absorbing the view of restored homes dating back to the 1830s is an enchantment. 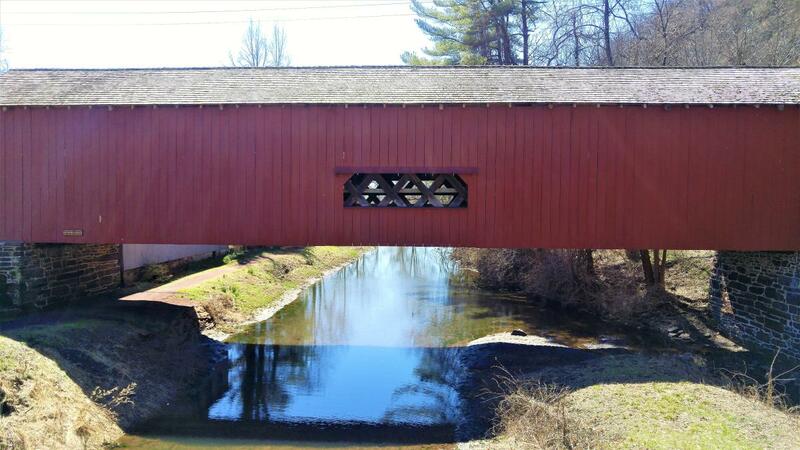 There’s even a magnificent covered bridge in town built in 1856. 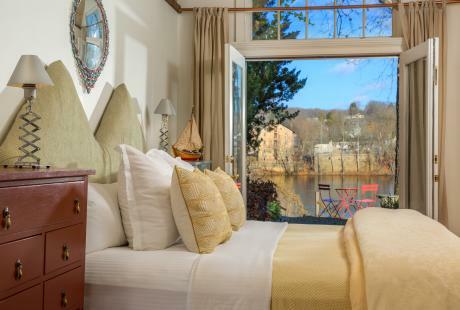 What’s more, you can stay over on weekends at the Uhler Carriage House with a picture window view of the bridge and the town. Local residents Tom and Shirley Williams own the cottage situated to the side of their impeccably restored Victorian mansion. Tom is a retired high school math teacher and his wife is an accomplished pianist, often filling their home with classical music. 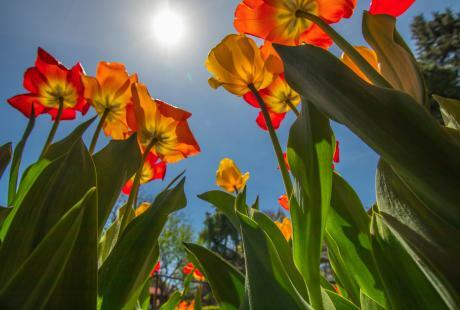 It’s springtime magic to catch the lilting refrains through open windows while strolling through town. 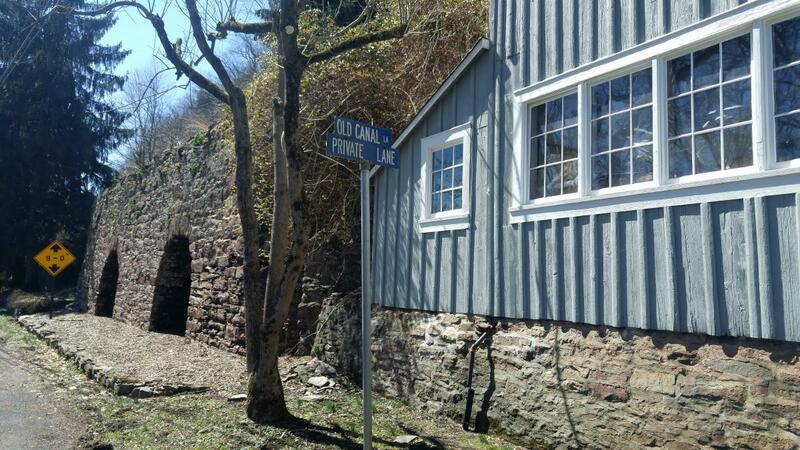 Tom, like other residents of Uhlerstown, have invested much time and resources into restoring the village, wedged tightly between the canal built in 1832 and 200-foot-high Palisades cliffs that channel the canal, pasture lands and the Delaware River below. 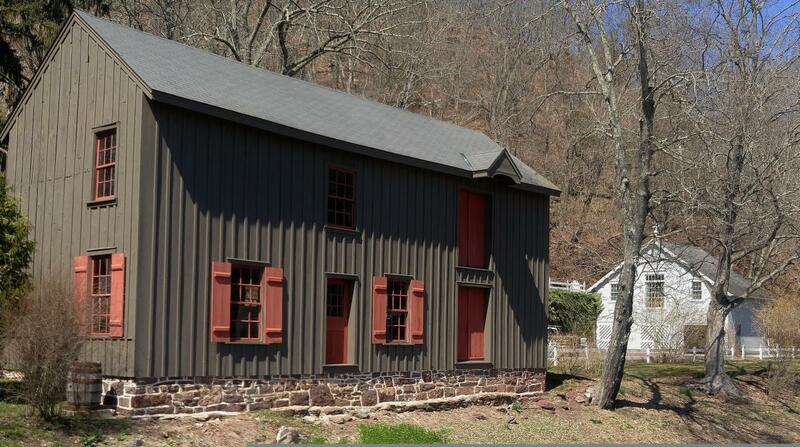 Uhlerstown is about a half-mile in from River Road (Route 32) opposite Frenchtown, N.J. It is well out of earshot of traffic on the highway. The only sounds you are likely to hear are the croaking of toads and twitter of red-wing blackbirds on fenceposts. 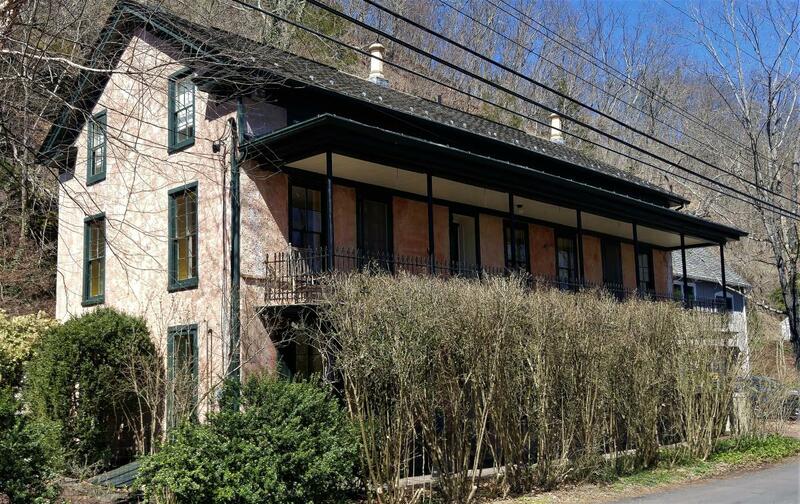 The Williams’ mansion was built by the town’s founder, Michael Uhler, who made the village a bustling commercial center in the latter 1800s when coal-laden canal boats passed through en route from Easton to Philadelphia to power the Industrial Revolution in the Delaware Valley. 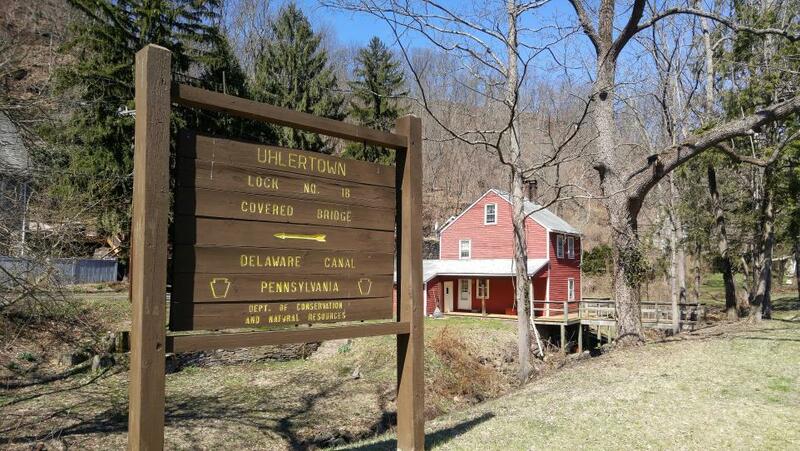 When boat traffic came to an end in the 1930s, Uhlerstown faded into obscurity. But it was rediscovered by people like the Williams who have brought it back as a quiet residential wonder steeped in history. Today Uhlerstown has no commerce. Most of its original buildings are intact, restored to their earlier glory as private residences. That includes the town’s former two-story brick hotel, its general store, a brick schoolhouse and the canal lock tender’s home. Recently, county government renovated the covered bridge. A one-way paved road leads up the red-shale cliff past bricked up lime kilns that once aided the local economy. You can drive or hike up the road for spectacular views of the town, the canal and the river. 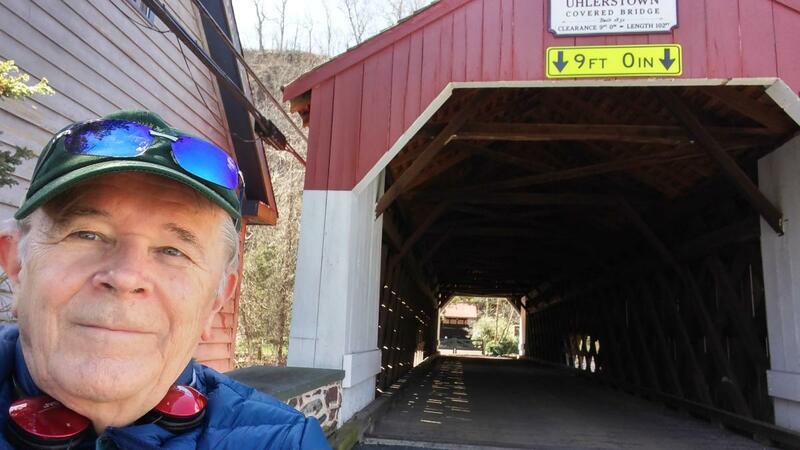 Uhlerstown is a haven for bicyclists and those out for a stroll. 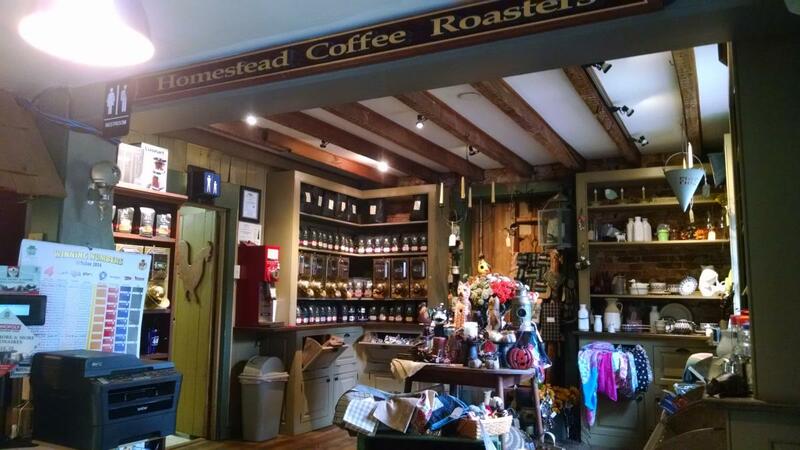 Just a few miles up the canal towpath is the Homestead Coffee Roasters and café centered at the Bridgeton General Store. 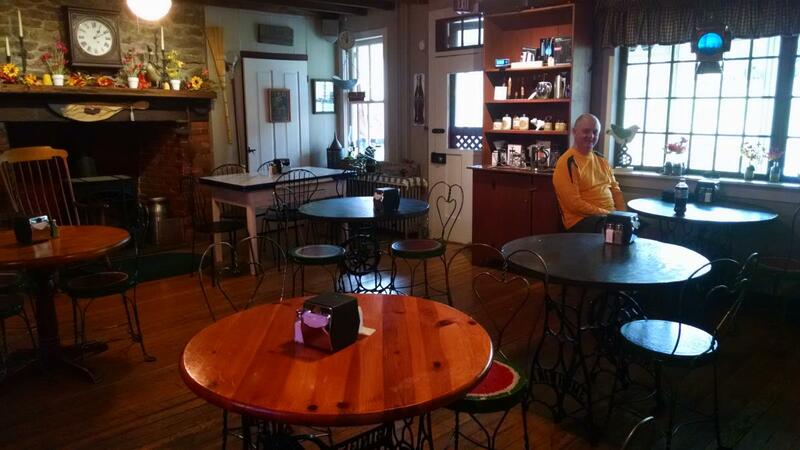 It’s a great place for a casual breakfast or lunch in a business that dates back to 1831. 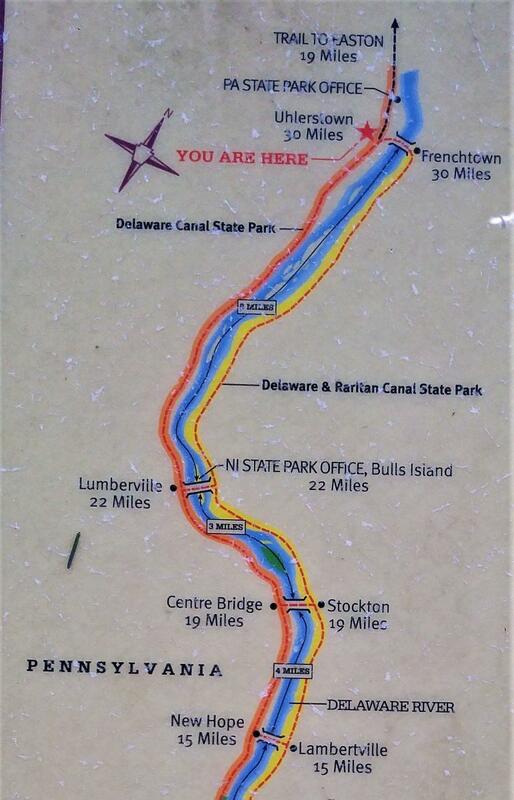 Also within an easy stroll is the pedestrian friendly walkway over the Delaware River iron bridge into Frenchtown. 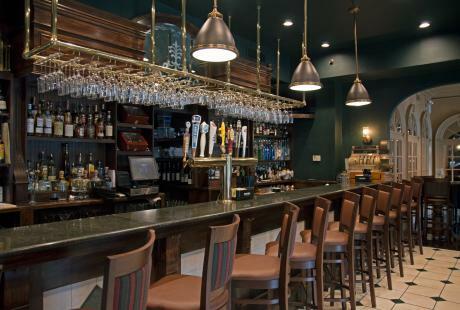 There you can pick from many fine restaurants and boutique shops. 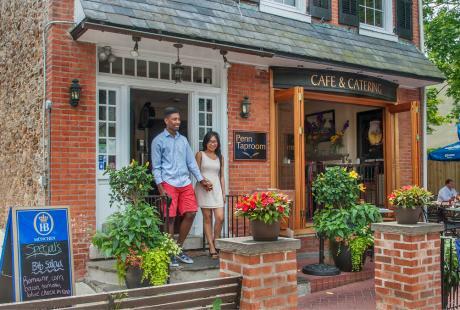 To inquire about reservations at the Uhler Carriage House, call Tom and Shirley Williams at 610-294-9387 or e-mail them: tw425@epix.net.